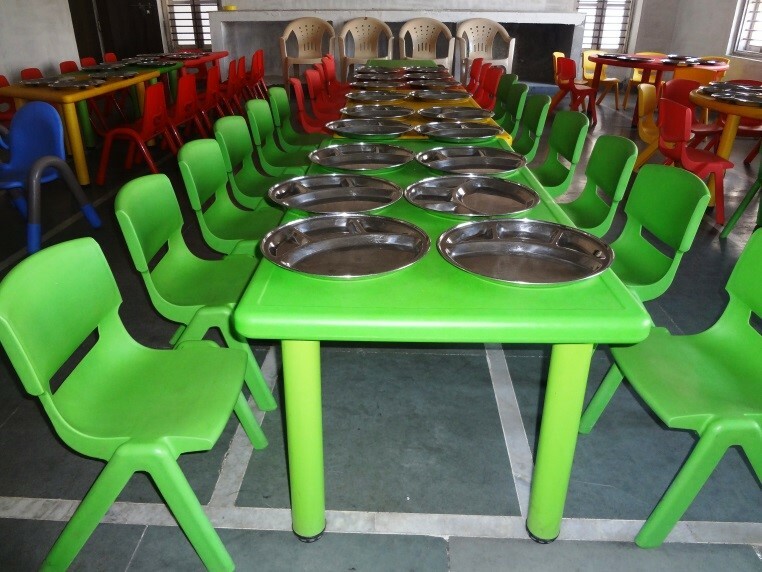 We have the vast canteen that features hygienic condition and well-furnished arrangement for eating comfortably. Our canteen serves healthy foods that include poha, upma, puri bhaji and lots more at reasonable price. The cafeteria serves lunch and snacks prepared by the school’s own chef and kitchen staff. The menu has been designed to offer a balanced diet with fresh ingredients, adhering to stringent standards of hygiene. There is a strict no-junk food policy with only the occasional dessert. 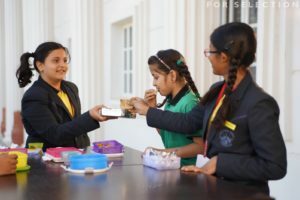 Under the care and supervision of the administrator and food in charge of the proper functioning of the dining hall is arranged which are of very high standards. Great care is taken to maintain hygiene and health standards in serving pure vegetarian food. The spacious dining area can accommodate a large number of students at a time. 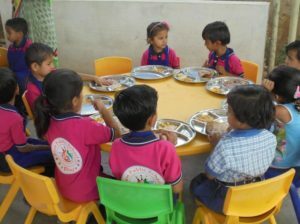 Careful observations by teachers ensure the children to eat hygienic food. Free food is given to all 200 plus pre-primary students every day. Canteen has a fixed menu for a week carrying two items every day.